Rui Hachimura scored 33 points and Zach Norvell Jr. added 23 for the host Zags. 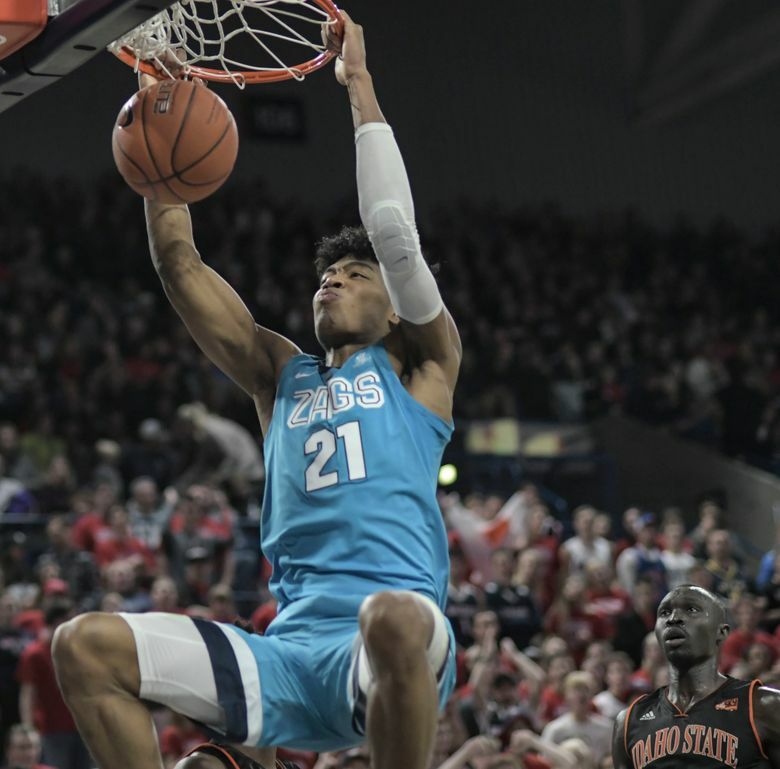 SPOKANE – Rui Hachimura scored 33 points to help third-ranked Gonzaga rout Idaho State 120-79 in the season opener for both teams Tuesday night. Zach Norvell Jr. added 23 points for Gonzaga, which has the highest preseason ranking from The Associated Press in school history. Brandon Boyd scored 13 points for Idaho State. Gonzaga was sloppy early in the game, leading to opportunities for the Bengals. Kelvin Jones, the 6-foot-10 center for Idaho State, made an impact on defense. But he picked up his third foul in the first half, limiting his time on the court the rest of the way. Jones fouled out in the second half. Gonzaga led 37-29 before going on a 10-2 run over the course of 1:28. The run by the Zags gave them a 47-31 advantage that was extended. Gonzaga saw room for improvement. “I think they scored 80 or something, so we got to play more defense,” said Hachimura. Gonzaga played without standout forward Killian Tillie, who is expected to be out for about eight weeks with an ankle injury.